Hunger is a very real issue in our world and in Vancouver. In fact, it is one of the few things that affects every single person on this planet. However, there is a huge difference between the hunger you and I face on a daily basis and the hunger that impacts the less fortunate. Take me for instance, when I feel the pain of hunger creep into my body, I have a few options at my disposal. I can go to my fridge or pantry where there are many food items to choose from. If nothing strikes my fancy at home, I can walk out my front door, hop into my car and drive to a store where the options are literally endless. Yet another option is having someone else cook my meal for me, it get’s served fresh and hot directly to my table, then I pay the tab, hop back in my car and head home with a full stomach. While we have many options to end our hunger pains, that is not always the case for our neighbors. Many men, women and children right here in Vancouver and Clark County face real hunger pains. Hunger that can’t be fixed by a short walk to the kitchen, or a quick drive to a nearby store or restaurant. Hunger that follows them everywhere. There is no running away or hiding from it. This sad truth is why from now, through November 19, 2015 Summit Chiropractic & Massage has partnered with the *Share House of Vancouver to help end the pain of hunger for those in need, in our community. 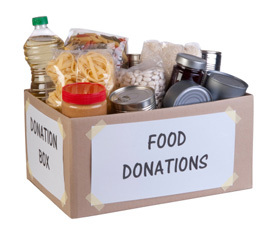 What we ask is simple…at your next visit, please be so kind as to bring in 2 or more cans of food to share with our neighbors and in return, we will gladly reduce your treatment cost by $5.00. If you happen to be new to our practice, with donation, we will be happy to give you your first visit free of charge. There is no limit to how many times you can donate and take advantage of this special offer. Contact us today with any questions or to schedule an appointment. Please help us stand in the gap for those in need in Vancouver and Clark County. We at Summit Chiropractic & Massage thank you in advance for your generosity, and willingness to simply Care to Share.